Visits to museum in Ranfurly, Gilchrist Store and Hayes Engineering/ homestead at Oturehua. Indoor curling at Naseby can be done all year round, outdoor curling and luge from June to September. Mountain biking is popular and can be done in addition to the Otago Central Rail Trail. Hiking and forest walks in surrounding countryside. Golf, bowls and tennis are all in reasonably close proximity. 4WD touring over many interesting mountain roads. Discovering and experiencing gold mining history including gold fossicking. ARRANGING YOUR TOUR OF THE RAIL TRAIL – Catch-a-Bus – door to door service – Ph 03 449 2024. Will carry bikes, transfer luggage etc. Otago Rail Trail is a comprehensive website with extensive photo galleries of towns and trail, bike hire, accommodation, luggage transfer and transport, free booking service and informative maps. 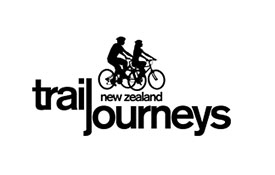 Trail Journeys was one of the first businesses to be involved on the Otago Central Rail Trail. 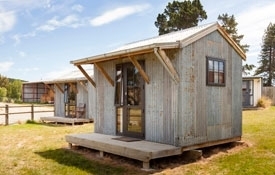 It is a Qualmark registered "Endorsed Visitor Activity" business with the head office located on the Clyde Railhead where the very popular Otago Central Rail Trail starts. Trail Journeys has purchased a property at Middlemarch and offers the same services at both ends of the trail. They offer top quality cycle hire, tour packages, personal itineraries, accommodation, luggage transfer and transport associated with the trail. The Otago Central Rail Trail Charitable Trust manages this website as a non-profit project to help enhance experiences on the Rail Trail by providing authoritative information about the history, natural features, maps and safety advice as well as links to accommodation, food and tour providers. The Rail Trail was developed by the Department of Conservation in partnership with the Otago Central Rail Trail Charitable Trust. Tourism Central Otago: www.centralotagonz.com (More about the Otago region). The Maniototo: www.maniototo.co.nz (The history of the Maniototo and what to do). Middlemarch: www.middlemarch.co.nz. Where the Rail Trail begins. Also the terminus for the Taieri Gorge Railway. Website has information about where to stay, what to do, history etc. 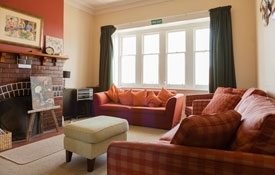 Ancient Briton Hotel: www.ancientbriton.co.nz (Offers meals in historic Naseby). Off Trail Tours: www.offtrailtours.co.nz. Provides comfortable, modern 4WD vehicles to take you on your choice of activities, sights and explorations.